I’ve had the great fortune of working with some of the most successful businesses, top automotive eCommerce directors, digital vendors & advertising agencies across the country. 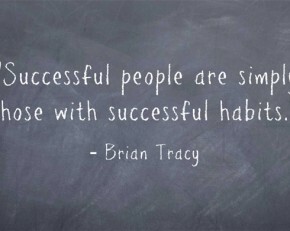 I continue to see a trend in the successful habits these top performers share. Although each individually possess more than just five, I’ve decided to document these common threads and share them with you. Every successful business has a “digital champion”. This is an executive leadership position and responsible for overseeing all eCommerce programs; including the strategy, implementation, execution and reporting. He/She should be able to connect all the dots from your traditional to digital marketing budgets and be able to forecast based on the success and failure of each individual program. This individual should be providing a weekly marketing playbook and distributing it across all departments throughout the business, including the receptionist. Don’t rely on industry “Best Practices.” This might seem like a contradiction to everything that sounds logical or that you’ve heard prior to this passage. Consumer behavior is changing fast, and the challenges you’re facing today aren’t the same ones that “industry best practices” have documented and solved. The eCommerce universe has rapidly expanded to include an array of touch points and the center of that universe has shifted entirely. Today’s marketing needs to be agile. The most successful businesses monitor consumer behavior and react quickly using technology that is learning and optimizing the experience of each consumer in real time. Create Personalized Experiences. In my seminars and previous columns, I always stress how important the consumer landing page experience is. There’s no limit to the amount of landing pages a website can accommodate. The most successful businesses identify different buyers and segments and create landing pages that appeal to those different audiences’ interests and needs with more relevant and targeted offers. Dedicated landing pages also solve the “click fatigue” problem that occurs when consumers have to navigate through a website to find the information they were initially looking for. Landing pages also offer a great SEO value with the opportunity of being indexed in a search. Think Outside of Box. I know it’s an old cliche, but many marketing strategies could be the actual definition of insanity. Businesses keep using the same national “big box” vendors that create the same campaigns, for every same brand business across the country. The most successful businesses tend to imitate the successful retailers such as Amazon, Forever21 or Nordstrom. They understand their shopper and provide customized shopping experiences based on marketing referral source, website pages visited and previous behavior. Have you ever received a targeted ad from a recently visited website offering you a discount and free shipping? Truth is, if you’re like thousands of consumers, you probably clicked on the ad and bought the product. Understand your analytics. Most businesses blast the same marketing message, to as many people as possible, with the hope of getting them to fill out a form or visit the establishment, so they can blast them all again with the same message. The trait the most successful businesses seem to master is the use of their analytics to create more targeted and effective campaigns. Using a data driven approach helps identify who is ready to buy before the form submission. A multi-dimensional predictive analysis will help you match your data and a combination of variables to determine an exact message to an exact target.